This is a short guide on solving the problem when trying to install the VGA driver on a Dell GX270 when Windows 7 is installed. Install Windows 7 on the Dell GX270 computer. (Refer to my other articles for using ImageX and WinPE 3.0 boot environment for capturing and applying images). Once you have Windows 7 installed, at least for me, Windows Updates didn’t pick up the VGA driver automatically; leaving you with a very large resolution which is unusable. 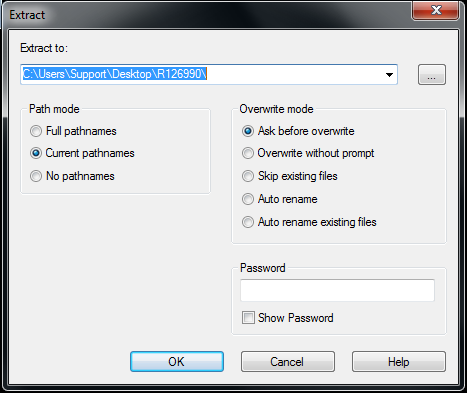 Download the Intel 82845G/GL/GE/PE/GV Graphics Controller driver (R126990.EXE). 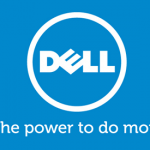 The drivers on Dell’s website do not work for Windows Vista or Windows 7. Once you have the R126990.EXE downloaded, you will need to extract the contents of the EXE to a folder. I suggest using 7-zip or Winrar. Click Apply, then click OK. Now run the setup.exe as you normally would and it shouldn’t complain about OS not being compatible. This link is beautiful! It works for gx270 and later as well!!!! It goes gud with 865 boards too! I was verry happy with this article. Awesome, glad we could help! plz get me out of this threat.. Thanks a lot, its really work. I Tried This And As Soon As The Computer Restarts It Reinstalls The Generic VGA Driver Any Ideas? Wow! You are amazing! I admire you. So simple and beautifully! Hello, Im trying to install Windows 7 on my dell optiplex gx270, but getting this error.. alert! cover was open recently… press f1, or f2 for set up… i can’t go any further.. Can you guys\ladies help me on this? sir please solve my problems that how i install dell GX270 LAN CARD in windows 7?and your link for the video card is superb.. Awesome article! This worked like a charm. You are the best! nice hach. thanx man thanx alot. Are you still unable to download the link? If so, let us know. it works on the resolution…but my graphics are still not clear..how do i rectify this? What do you mean by graphics aren’t clear? This does not work :/ I am using a Dell OptiPlex GX270 with Windows 7 32 bit. I have downloaded your driver but no startup screen opens when I tell it to run. No setup no menu no nothing comes up. P.s I have a PCI express video card on the way. It is a Radeon x300 (I know this is horrible for our day and age) but this computer is just a backup computer in case mine main Desktop goes down. 🙂 Understood. I have done this install hundreds of times on many GX270’s. Also, as you can see in the comments below it works. Did you run in compatibility mode and also run as administrator? Do you have an anti-virus installed? Im sorry if I offended you. My words were not meant to be taken as im calling you a fraud. I know this method works its just not working for me. Which is why I posted so we can figure it out. I am not running in compatability mode. In addition the file above Is not a .zip its a direct exe so I hit RUN right from the browser. I am running IE 10 if that helps. No problem 🙂 Right click on the file in our post and save it somewhere. Maybe that is the issue. You want to save it to your desktop, and then you can right click on it, go to properties and check both of the options as shown in Step 5. I think that is the issue here. Yup as expected everything worked out and I now have the correct screen resolution. Thank you for your help. The main problem here was in fact the file being run directly instead of saved where it’s properties could be set up and then ran. I hope the will help anyone else using the latest technology to install something this old. Thanks again. Great glad it worked for you! Knowing your background with the GX270 series, is it possible for this machine to have at Minimum OpenGL 1.0? Or would I need to wait for the Radeon x300 graphics card in order to support OpenGL? I don’t remember off the top of my head, its been a couple years since I worked with the GX270’s. But I think it did support OpenGL 1.0. If not, your x300 would definitely be a better option 🙂 This really was a work around to at least make the 270 usable in Windows 7. Yes the x300 specs include full OpenGL support. It has already been ordered and is on its way. I was able to find an OpenGL download 1.1 but it comes with no EXE file :/ I think it really just boils down to me needing to be patient and wait. I just ran this as an admin. It worked not but I am being told my operating system is not supported. This driver is for Windows XP not for Windows 7. 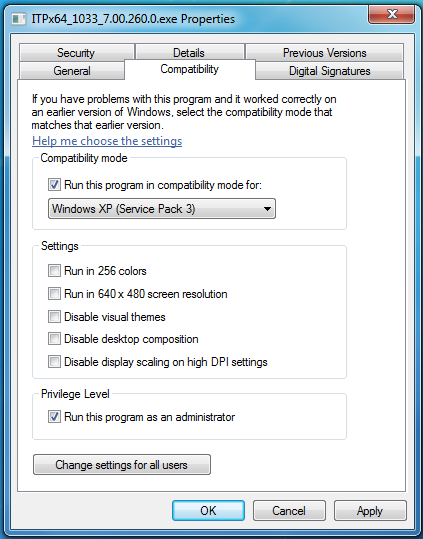 Have you right clicked on the .exe file and checked run in compatibility mode before running it? No I have not. I will do so now. EDIT: I have done so now and the error went away for not being compatible. It says it is now installing. I will report back as to weather this fixes my resolution problem. Will this also support OpenGL? can u help me with the sound driver?? What trouble are you having with the sound driver? tried to install driver R126990.EXE) on my Dell GX270 and after few seconds saying is loading a message comes up says that the computer does not support. Any advice of waht i am doing wrong? Have you downloaded the drivers from the above link? The drivers on the Dell website are not working at this time. Wow, I learned something new today. That worked perfectly for me!!!!!!!!! Thanks for your knowledge. Thanks Troy. Glad you enjoyed it. Worked great for me. Thanks so much. So I perfectly followed your instructions, and the incompatibility went away. Now my problem is, it says that the minimum system requirement is not met. I just installed win 7, but before that I was running xp serv pack 3. Help! The link you gave for download doesn’t works can you please upload that file on mediashare , Please ?? Hmm. I see the issue. Let me post a dropbox link. Will do it shortly. Can you try again. I retested and it works fine on my side. The link for the driver download has been fixed. We uploaded the software on dropbox instead of Mega and its working fine now. Thank you for your patience and reminder. Please, can you give the new link? The last one doesn’t work with Windows 7!! All is good except I cannot click “ok” after making changes in compatibility as the button is off the screen and I cannot get to it. Any ideas at all on how I can make it go? Hold control and scroll your mouse wheel down, 3 clicks,that should do it. Thank you. Spent hours downloading drivers from Dell with no luck. I too had a screen so big I couldn’t get to the Apply and OK buttons, but by temporarily moving the Tool Bar to the right side of the screen I could just manage to click them. Still works! thanks so much, helps to repurpose the older PCs!